Molly was interviewed this week by PBS Newshour regarding her work with Marwan Hisham in Syria. People live lives, even in war zones. Sometimes, when we just see photos of atrocity, we forget that these are humans in that atrocity, who scam and love and watch satellite TV and buy vegetables at the market and love their kids. 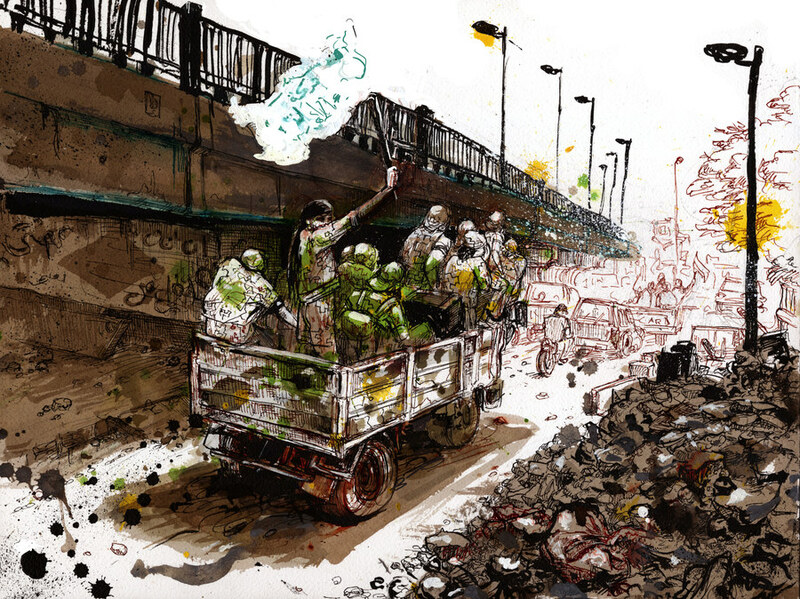 Me and Marwan tried to show daily life, real life, of which war was a part but not the whole. This entry was posted in Uncategorized on September 24, 2015 by AC.